Friends, many of my visitors say that how did I monetize my website so soon? Those people, with great disappointment, asked me. I will tell the full details of the method I adopted in this post How To Approve Adsense Account In 7 Days With Blogger Website. So that you all can get help. Friends are a very simple way. If you want you can monetize your blog within just 7 days. But you must have its idea. And due to lack of information, all are concerned. But leave worry now. I am with you. If you are tired of using the procedure described in another site. And if the desire is not fulfilled then read this article once more. I hope that your dream will be fulfilled. I guarantee you your blog will be fully approved, I guarantee you. So do not waste your time from now on. And the steps that I'm saying Within 7 days the adsense will be your Approve. For the first time in India, gourabdesign.com telling the real ways that nobody has said so far. So let's start now. 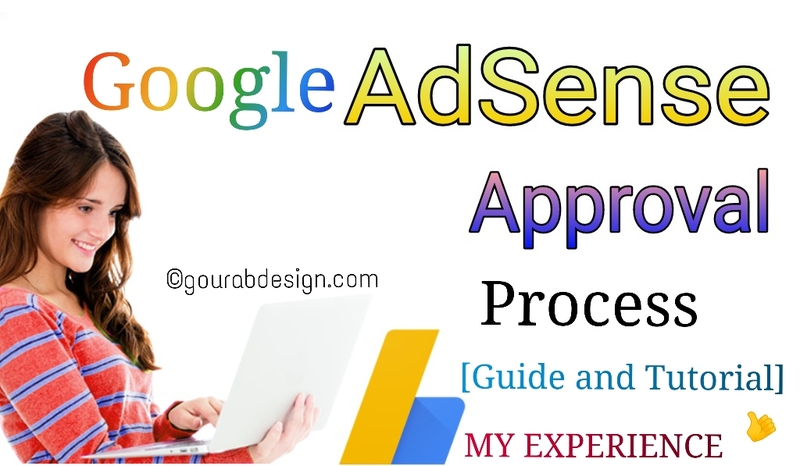 You must have at least 25 to 30 articles in your site to get an approval from the AdSense account. Otherwise you will never have to do anything. . Will be rejected again and again. Because if your site does not have much content, then such a large advertising network is of no use to your site. The above step has been understood. And listen to one thing. Every post of these 30 posts should have more than 700 words... Remember this Because of these, you will never be able to monetize your site. After this, the second method is how is your website designing? A good and professional design site gets quick approval. For this I have shared some links below, read it. And download the templates that are good for them. This is the most important. Everyone who knows but still ignores it. Add the page to the footer of your site. Like ALL POSTS, DISCLAIMER, TERMS AND CONDITIONS ETC. You can see the bottom of my website below, how I added it. Design the site in such a way that when someone visits your blog first you can see the search box. . This step is not known to everyone. That's why I have told. Because I know about it. You should use important tags in each of your articles. Like h1, h2, h3, h4. Also, use paragraphs as well. As many bloggers as friends, there are at least 500 page views that will be able to get you started. But all this is a lie.. Because there is no need of traffic for it, I think. And if the visitor is less then you will be able to get it. If you have not purchased a custom domain yet, then buy it now. So that your work can be easier.. And for this, you need to perches a premium domain and high level domain. Like .com , .in . Never take the domain like .tk, .ooo that is low quality. And do not even take it for free. Because this will fool you very badly. And I will recommend that buy them from the godaddy. Because this network is good. And you will be very supportive. If you want, I have also created a video about it. Look at it So that you can be easier to understand..
Friends are just doing this and nothing else. You go ahead(SUCCESS), that's what I want. And I will always support you. . If you get benefit from the tips I have mentioned, then share it in the social site. So that every person can get help. If there are any questions in the mind, please comment below and ask for it. I will reply immediately. Hi bhai. Main porsu iske related post update kar dunga. Keep visiting my website.